Are Your Excuses Getting the Best of You? Excuses are deadly. They justify staying where you are, validate mediocrity, and are ultimately selfish. When the going gets tough, we so easily submit to excuses and remain stuck within our circumstances. You simply cannot succeed and make excuses at the same time. How can we overcome this defeated mindset in order to accomplish the amazing things God has planned for us? 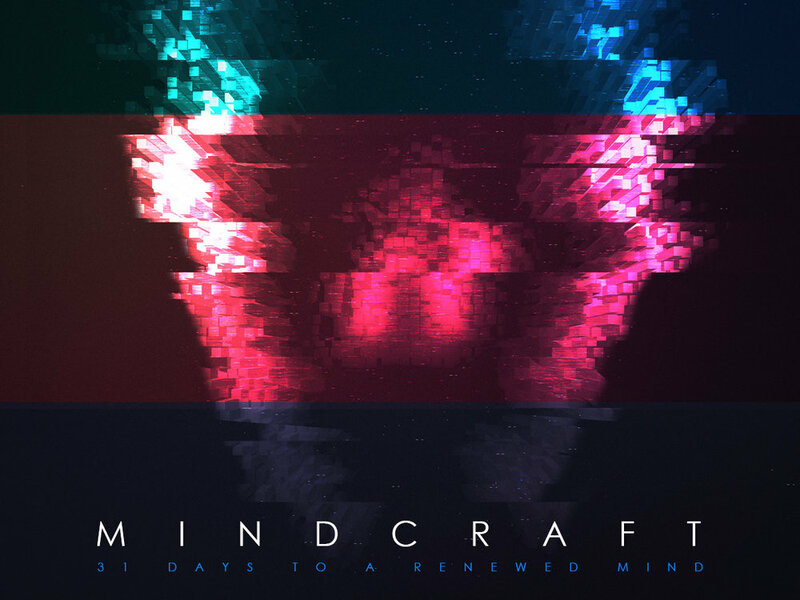 Pre-orders for Mind Craft will be available shortly, so stay tuned! Ephesians 3:20 says, "Now to Him who is able to do exceedingly abundantly above all that we ask or think, according to the power that works in us." How does that work? How is the almighty God able to do "exceedingly abundantly above all that we ask" but only according to the power within us? Can we really limit God? In Mark 6, Jesus was not able to do miracles in His hometown due to the people's expectations of Him. Are your expectations of God limiting the ways He can move in your life as well? If we want our lives to change, our patterns of thought must be altered. No more excuses, no more "buts." Your time is now. Do You Trust God With What's Next? God has big plans for your life but there are tests along the way to fulfilling His promises. In our last week of the Proving Ground series, we are taking a look at two tests that will determine your level of trust in God; a key to overcoming anything. What do I pay attention to? vs. What grabs my attention? If you take the time to plan, you can list out what you will pay attention to and that will help you focus when things come along and grab your attention. Focus on your why - Why am I here? What is my purpose? What is my problem to solve? When you have clear answers to those questions, you can prioritize your time. In the Bible, great leaders learned to think both short-term and long-term. They learned to trust God even when it meant waiting. In order for us to do this, we must understand that there is purpose in these seasons of waiting. As James said, "Consider it pure joy, my brothers and sisters, whenever you face trials of many kinds, because you know that the testing of your faith produces perseverance. Let perseverance finish its work so that you may be mature and complete, not lacking anything." There is purpose in every season and knowing that allows me to think both long-term and short-term at the same time. For centuries, theologians have debated how to balance our free will with the sovereignty of God. In Proving Ground, Gerald addressed this topic very well. He said that trying to pick either free will or sovereignty is a "dumb dichotomy." It is not one or the other, it is both. God's will is that we would will His will. So while we take comfort that God is in control, we must take great honour and pride in the fact that we have an opportunity to carry out His plans and purposes here on earth. Passing the Lordship Test brings us to believe that God is always right. It doesn't matter where we are and what we are currently doing, we each have to pass these nine tests continually. God is not concerned with how many people attend your church; He is looking for us to be faithful with what we have. He is moved by the individual lives that are changed with the gospel we share. Why? Because the church is the hope of the world and we have a mission to reach every available person, at every available time, by every available means, with the Gospel of Jesus Christ, by creating churches unchurched people love to attend. If you have enjoyed this series, we would highly recommend you purchase your own copy of Proving Ground. If you'd like to purchase one, you can find it here. Testing always precedes promotion. We aren't able to move to the next level that God has for us without experiencing some degree of a trial. Are you prepared for the tests that are coming your way? Recently we were introduced to a book by Pastor Kevin Gerald called Proving Ground. This book has been very timely for us and, while simple in its approach, it is a great reminder of the fact that testing precedes promotion. There is a big difference between God testing us and the devil tempting us. The purpose of a test is to prove a product or to prove what you have already learned. Sin, on the other hand, is a device used to cause you to stumble and sin. James 1:13 says, "no one should say, 'God is tempting me.' For God cannot be tempted by evil nor does He tempt anyone." When God tests you, it is always for your benefit. When you battle temptation it is always for your destruction. God will sometimes allow temptation and use it as a test to prove us, much like what happened in the wilderness when the devil tempted Jesus. God used this to prove and propel Jesus into His ministry. Let's start discussing the tests described in Proving Ground. This test comes to prove a leader's potential for greater opportunities. In the book, Gerald says, "We cannot get to where we want to go tomorrow if we are always trying to bypass our today." We all have the tendency to want to bypass practice for game-day, but you don't become the champion in the ring; you become a champion in the gym. It's how you prepare that makes a difference. Sometimes I test my leaders myself by giving them small tasks just to see how they will react and what their attitude will reveal. How they react will show me whether or not they are ready for something bigger. If you as a leader are disciplined in growing yourself, it is inevitable that you will outgrow what you are leading right now. What you are overseeing now will suddenly feel too small and you will be in search of something bigger. Raise up leaders, grow your team, and invest in them even when you are tempted to begin investing elsewhere. Having the patience to finish well will better prepare you for what's next. You could be doing the right thing for the wrong reasons, so this test challenges the why behind what you do. a) By the words they speak (Matthew 12:34). b) By the way they spend their money (Matthew 6:21). Both of these things help us to determine the motives of others as well as the motives of ourselves. Motives are tested when we don't feel appreciated or wanted. One of the most common motives for a leader is the desire to please people. However, a leader who seeks only to please his followers will compromise the organization's goals to keep the peace and the organization will stop growing. It's a fine line, but Solomon said it this way in Proverbs 29:25, "Fear of man will prove to be a snare, but whoever trusts in the Lord is kept safe." In other words, our ultimate motivation should be to please God, not man. There are seasons where we find ourselves giving more than we are receiving. In order to get through these times, begin asking yourself a series of motives questions; What are you doing this for? Who are you doing this for? Why did you start doing this in the first place? When you started, did you expect it to be easy? The best way to keep a check on your motives is through prayer. If we constantly cast all of our cares on God and lean into Him, He will make our paths straight. I like what Gerald said in his book; "the definition of a motive is the compelling force behind our actions." For me, the compelling force behind my actions is Jesus. What He did for me personally causes me to want to share that hope with others. What He commanded me to do - to go into all the world and preach the gospel - gives me a lifelong mission to fight for. I have seen the effect He has on my life and it keeps me going - regardless of opposition - because the church is the hope of the world, and we have a vision to reach every available person, at every available time, bu every available means, with the Gospel of Jesus Christ, by creating churches unchurched people love to attend. We hope you have enjoyed this past series on Project Management! To wrap things up, I am sharing some of my personal experiences when it comes to managing projects and goals. My team and I have accomplished some great things but we have also learned some tough lessons along the way. Projects can be messy. We set ambitious goals and work with a variety of people with different personalities to achieve our objectives, so something is bound to go sideways. How can you prepare yourself to avoid giving up? So far, we have discussed firstly, being specific and clear in defining the project with yourself and then with your team. Secondly, we talked about setting goals, which is the "what" you want to accomplish by "when", and then working with the right people on your team to define objectives. It's important to delegate the tasks to the right people and set a deadline for each. Let's pick up with point number 6! There are a lot of things that can sideline a project. For me, I have found that I can categorize my project killers into the 4 D's. A great question to ask yourself when opportunities arise is, "Will this opportunity benefit the big picture of the organization and its vision, or is it a distraction?" Every leader is going to battle discouragement. It's inevitable. Usually, it happens when we are disappointed over a failed expectation. It is very rare that a project doesn't involve conflict. Recognize the symptoms and take the time you and your team need to rest, recreate, refuel, and refire with the vision. If I feel myself or the team disengaging from God, people, or the vision, I know that there is a problem most likely due to losing focus. Visions leaks so it is important to continually reiterate the vision throughout the project, not just at the beginning or when the 4 D's raise their ugly heads. I tell my team all of the time to not just bring me problems, but also solutions. We want to be solution focused, not just problem focused. Resource your team with everything they will need to get the job done. Learn to communicate with your team. A project manager's primary function is to communicate and bridge the communication between all the different personalities involved. Spiritually, we must keep our heads in the game and our hearts pliable towards the Lord in the multiple projects and diversity of team players day to day. As a pastor, I remind myself often that Christ is the head of the church and that the gates of hell will not prevail against the church. I must surrender daily to God's lead, rely on His strength, seek His wisdom from the Word, and cast all my cares on Him because He cares for me. I also remind myself that the church is the hope of the world, and Jesus gave us a mission to reach every available person, at every available time, by every available means, with the Gospel of Jesus Christ, by creating churches unchurched people love to attend. As leaders, we are constantly starting and finishing a variety of projects. However, the church is an event-driven business. How do we manage our projects without getting stuck in the rut of our weekly programs? At one of our past All-Staff days, I discussed with our team eight of the necessary components for planning projects. Today, we are going to tackle three of those. In this stage, it is very important to be specific for a couple of reasons. The more specific you get with your team, the easier it is for them to follow your instructions and go to work with clear expectations. The leader benefits personally because it brings clarity to their thinking. It is also much easier to follow through on the project when the details have been thought out. As a young leader, I discovered that taking time to plan may take some effort initially, but in the long run, having a clearly defined project saves time, money, and a lot of headaches once the project has launched. 2. Define goals and objectives. Your goals are the “what” of the project. The objectives are the “how” of accomplishing that goal. When working to accomplish something with my team, I would inform them of the goal and then ask them, “How do you think we can accomplish this?” Allowing them to brainstorm and be apart of the process of setting objectives will boost their involvement and motivation in carrying out those objectives. Let’s be real, as the leader you can’t do everything yourself. Delegating is a part of giving your team ownership over the project and efficiently completing all of your objectives. It will save you time and allow your team to work together. Why do Church Projects Fumble? Church projects can get caught in any one of these points. We often aren’t clear in describing projects and objectives to our teams or ourselves. Sometimes we skip involving our team in laying out objectives or we don’t delegate the specific tasks to our team members to get done. Skipping any of these steps will cause us to drop the ball. Churches are event-driven organizations that exist to put on weekly programs. We can easily find ourselves in the rut of the weekly grind and ignore the big projects. With all of this project management to handle, reaching people for Jesus can be somewhat more complicated, but it is more important then ever before. Amidst a lost and uncertain generation, the church is the hope of the world and we have a vision to reach every available person, at every available time, by every available means, with the Gospel of Jesus Christ, by creating churches unchurched people love to attend. We are excited to have Pastor Julie Kissick on the podcast today! She and her husband Ken run an outreach mission called Streets Alive here in Lethbridge and are making a great impact on our community. They work to restore the lives of the broken with dignity and re-establish lives that have been damaged due to addictions and homelessness. We can all learn so much from their ministry. Streets Alive has been operating in Lethbridge since 1989. It began with three women with hearts to help people and now has multiple programs including a P.I.N. (People In Need) Bank, a Learning Centre, a Mobile Help Unit, and many more. Pastor Ken and Julie seek to uplift people and give them the support they need in order to flourish. Their team believes in restoring people’s dignity and that recovery is real possibility for everyone. To learn more about their ministry, listen to today’s episode and then check out their website here. Does your church struggle with reaching people through social media? Jen Tribble joins Pastor Gene on today’s podcast. She has become our marketing guru and is doing an amazing job with coordinating our social media content. Social media can be a daunting thing. What content gains the most engagement? When are posts most effective? While it can be tricky, it is one of the most efficient ways to spread a message within this generation, and we have the most important message of all; the hope of Jesus Christ! Jen has stepped up to take on the task of coordinating our social media department. She has spent the past few months researching and integrating some new strategies for content creation and posting schedules. These strategies are allowing us to tell our story with relevancy in order to reach a wide variety of people. Tune in to learn about how she is doing it! Are You Ready to March Off the Map? Are you ready to take the next step in reaching Generation Z? Generation Z has proved to be a challenging feat within the world of ministry. Technology is being introduced so rapidly and people's lives are changing so fast that our ability to invent new things outpaces the rate we can civilize them. Kevin Kelly says, "These days it takes us a decade after a technology appears to develop a social consensus on what it means and what etiquette we need to tame it." If this is true, we need to prepare people, not just in their ability to adjust to the times and technologies but in their morals as well. Generation Z ministry is a big one, a necessary one, and a challenging one. Generation Y and Generation Z are two very different groups of people. As pastors and leaders, we cannot afford to lump them into the same category anymore. The biggest difference we need to be aware of is that we are no longer their greatest source of information. Therefore, we need to provide them with context for the content they are constantly absorbing. One of the biggest changes I see necessary for parents is learning how to contextualize the information our kids have access to. Our job is to help our kids discern what is truthful and what is not and how to apply that information to their lives. It requires us to dig a bit deeper into relationship because trust is not automatic. I think the pressure we feel as an older generation is to try to keep up with the ever-changing world of technology. But I don't think that is nearly as important as understanding the people of the day. They are looking for a place to belong, to connect, for someone who believes in them. We can build those relationships if we are real rather than cool and if we care rather than just knowing better. I hope you are ready to create new maps to reach every available person, by every available means, at every available time. Let's start with loving others. If we focus on others and seek to love, encourage, and help them, we will be well on our way to reaching every available person. Jesus had this focus and He told us to have the same - love your neighbour. His truths are timeless and they work, even with Generation Z. If you haven't picked up a copy of Marching Off the Map yet, we hope you will grab one soon! It has profoundly affected us and has caused us to rethink our methods at every level. We need to continually relook at the way we do things and its effectiveness because we carry the most important message in the history of the world and it's too important to miscommunicate. The truth is the church is the hope of the world for every generation and we’re on a mission to reach every available person, at every available time, by every available means, with the Gospel of Jesus Christ, by creating churches unchurched people love to attend. Leading this up and coming generation can be a very daunting task. Parenting especially is vastly different than it was 10 years ago. For the sake of our children, it is crucial that we learn the best approach. On this episode, we are comparing some tactics for best reaching our kids and youth. These days, we as parents have become very good at protecting our kids but have lacked when it comes to preparing them. We govern their actions, schedules, and relationships to the point where we are no longer doing them any good. Studies show that parents who over-program their children's lives tend to breed children who rebel as teens. To counter this, we need to work on connecting with our kids, building deep relationships that are able to bear the truth when needed. One of my pet peeves is participation awards. Not just because I am competitive, but because I feel that in an attempt to make people happy, we end up making it worse. According to the American Psychologist Association, healthy and robust self-esteem actually comes from achievement, not merely affirmation. So, in our attempts to protect our children's self-esteem, we are actually creating a new "at risk" child; middle class, affluent kids who are depressed because they never really achieved anything. Let's not assume that simply telling our children that they are special and awesome will build their self-esteem, but instead give them opportunities to work at becoming amazing! Elmore says, "Imposing rules and behaviours on this generation carries negative baggage." But we've always found rules and imposed behaviours a favourite default in parenting. It can often be safer, cleaner, and easier for all of us, not just parents. When our children feel forced to do something, they don't take ownership of it and we are simply modifying their current behaviour without affecting their heart. Make things enticing for your kids so they actually want to participate. In doing so, they will learn more effectively because they will own it. This works in every avenue of life; parenting, managing, leading, etc. Jesus used this technique. He never imposed truth on people but instead exposed them to it by asking questions and leading them down a path of self-discovery so they could own the answers themselves. We as parents have the tendency to map everything out for our kids. We are somewhat removing the need for kids to use their own imaginations and creativity. Elmore says, "Instead of prescribing what they should do next, try 'describing.' Describe an outcome or goal, and let them figure out how to reach it with their own ingenuity." I think we are a generation of parents who are trying too hard to be cool. We so desperately want to be our kids' friends that, in doing so, we lose ourselves a bit and ultimately we lose them too. Today's parents have strayed from the authoritarian approach of their parents in an effort to be different. We think that if we can be just like our kids, we will be liked by our kids. So, we try to dress like them, act like them, listen to the same music, watch the same movies and the list goes on. But in reality, grown adults can barely pull this off without being laughable. Our kids aren't looking to us to be cool, but want us to be authentic. I'd encourage parents to relax and learn to laugh at yourself. Be self-aware, genuinely listen, speak in a tone that is believable, and don't focus on being cool; focus on being real. People are searching for something or someone real. That's what I love about the Bible. It doesn't "sugarcoat" life, but depicts the raw and real aspects of it. I think it is time for the church to be real, unafraid to discuss some ugliness of this life. Authenticity is why our slogan, "No Perfect People," has had so much traction. The church needs to get where people are really living and reach them there because they need real hope. The church really is the hope of the world, and for every generation, we are on a mission to reach every available person, at every available time, by every available means, with the Gospel of Jesus Christ, by creating churches unchurched people love to attend.